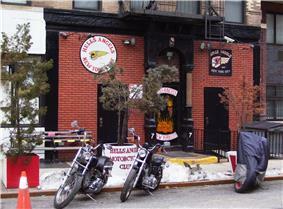 The Hells Angels Motorcycle Club (HAMC) is a worldwide U.S. Department of Justice. 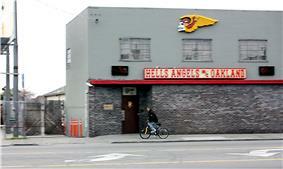 In the United States and Canada, the Hells Angels are incorporated as the Hells Angels Motorcycle Corporation. Common nicknames for the club are the "H.A. ", "Red & White", and "81". Some of the early history of the HAMC is not clear, and accounts differ. According to Ralph 'Sonny' Barger, founder of the Oakland chapter, early chapters of the club were founded in San Francisco, California, Gardena, Fontana, California, Oakland, California et al., with the members usually being unaware that there were other clubs. One of lesser known clubs existed in North Chino/South Pomona, California, in the late 1960s. The Hells Angels are often depicted in semi-mythical romantic fashion like the 19th-century James-Younger Gang: free-spirited, iconic, bound by brotherhood and loyalty. At other times, such as in the 1966 Roger Corman film The Wild Angels, they are depicted as violent and nihilistic, little more than a violent criminal gang and a scourge on society. Numerous police and international intelligence agencies classify the Hells Angels as one of the "big four"  Members of the club have been accused of crimes and/or convicted in many host nations. Red and white are also used to display the number 81 on many patches, as in "Support 81, Route 81". The 8 and 1 stand for the respective positions in the alphabet of H and A. 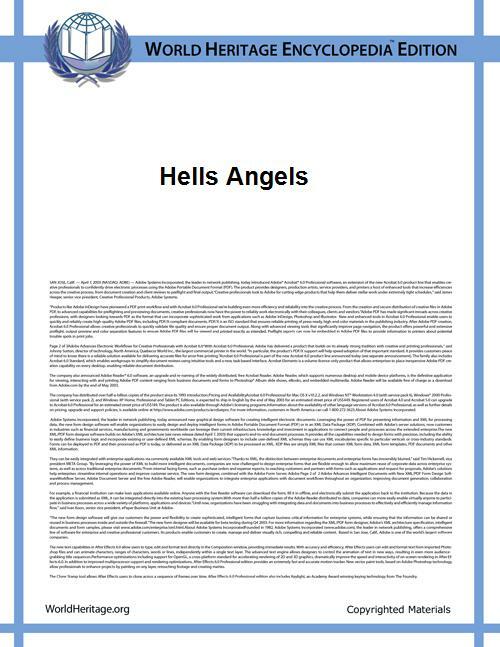 These are used by friends and supporters of the club in deference to club rules which purport to restrict the wearing of Hells Angels imagery to club members. 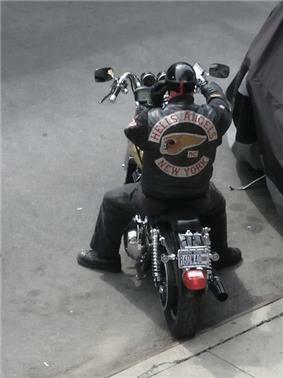 In March 2007 the Hells Angels filed suit against the Walt Disney Motion Pictures Group alleging that the film entitled Wild Hogs used both the name and distinctive logo of the Hells Angels Motorcycle Corporation without permission. The suit was eventually voluntarily dismissed, after it received assurances from Disney that its references would not appear in the film. In October 2010 the Hells Angels filed a lawsuit against Alexander McQueen for "misusing its trademark winged death heads symbol" in several items from its Autumn/Winter 2010 collection. The lawsuit is also aimed at Saks Fifth Avenue and Zappos.com, which stock the jacquard box dress and knuckle duster ring which bear the symbol which has been used since at least 1948 and is protected by the U.S. Patent and Trademark Office. A handbag and scarf was also named in lawsuit. The lawyer representing Hells Angels claimed "This isn't just about money, it's about membership. If you've got one of these rings on, a member might get really upset that you're an impostor." Saks refused to comment, Zappos had no immediate comment and the company's parent company, PPR, could not be reached for comment. The company settled the case with the Hells Angels after agreeing to remove all of the merchandise featuring the logo from sale on their website, stores and concessions and recalling any of the goods which have already been sold and destroying them. The HAMC acknowledges more than one hundred chapters spread over 29 countries. The Hells Angels motorcycle club founded a chapter in Auckland, New Zealand in 1961 and has since taken over gangs in Wanganui. 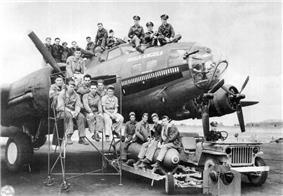 New Zealand had the first chapter of the Hells Angels outside the US. 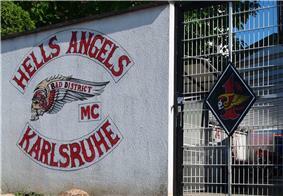 Europe did not become widely home to the Hells Angels until 1969 when two London chapters were formed. International Times writer and lead singer with The Deviants, Mick Farren. They awarded Farren an "approval patch" in 1970 for use on his first solo album Mona, which also featured Steve Peregrin Took (who was credited as "Shagrat the Vagrant"). Spanish Chapter was involved in killing and trialed. However there have been black members of puppet clubs, notably Gregory Wooley, a high-ranking member of the Rockers MC in Montreal who was the protégé and bodyguard of Hells Angel boss Maurice Boucher (who had been labeled a white supremacist by the media). Wooley became an associate of the Hells Angels Montreal chapter in the 1990s and later tried uniting street gangs in Quebec after Boucher was imprisoned. In another interview with leader Sonny Barger in 2000 he remarked "if you're a motorcycle rider and you're white, you want to join the Hell's Angels. If you [sic] black, you want to join the Dragons. That's how it is whether anyone likes it or not. We don't have no blacks and they don't have no whites." When asked if that could change Barger replied "Anything can change, I can't predict the future". 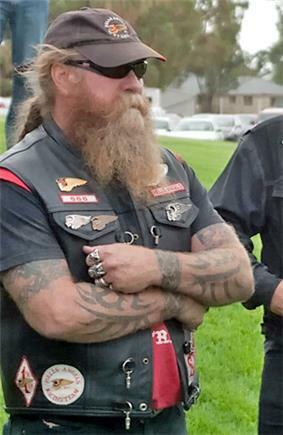 Tobie Levingston who formed the black motorcycle club East Bay Dragons MC wrote in his book that he and Sonny Barger have a long-lasting friendship and that the Hells Angels and Dragons have a mutual friendship and hang out and ride together.